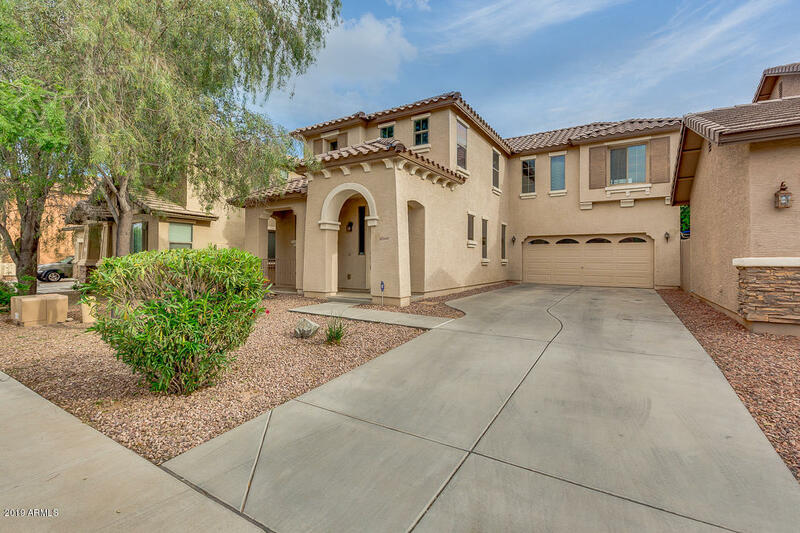 All Rancho Gabriela homes currently listed for sale in Surprise as of 04/23/2019 are shown below. You can change the search criteria at any time by pressing the 'Change Search' button below. 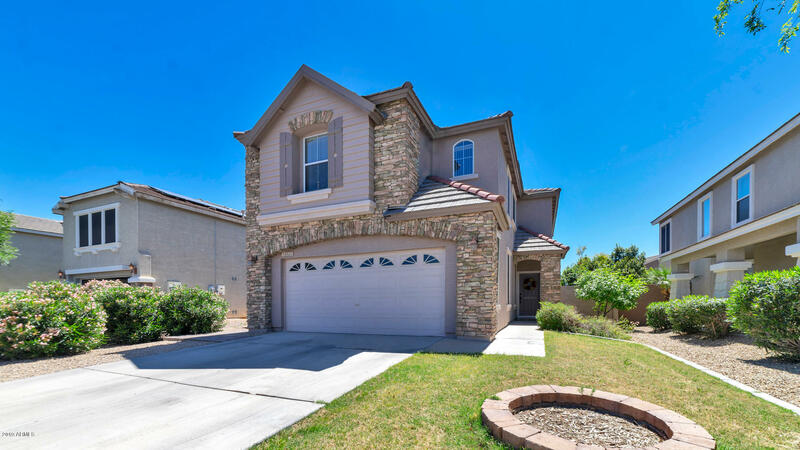 "This Gorgeous, Multi-Generational, 5-bedroom, 3.5 bathroom home, includes a huge bonus room. The kitchen features an island with breakfast bar and walk-in pantry. There is a spacious living room, with your choice to make a downstairs office, den, or formal dining room. The newly tiled master bedroom, located downstairs, gives a perfect space for all generations, because it is near the laundry room and kitchen. 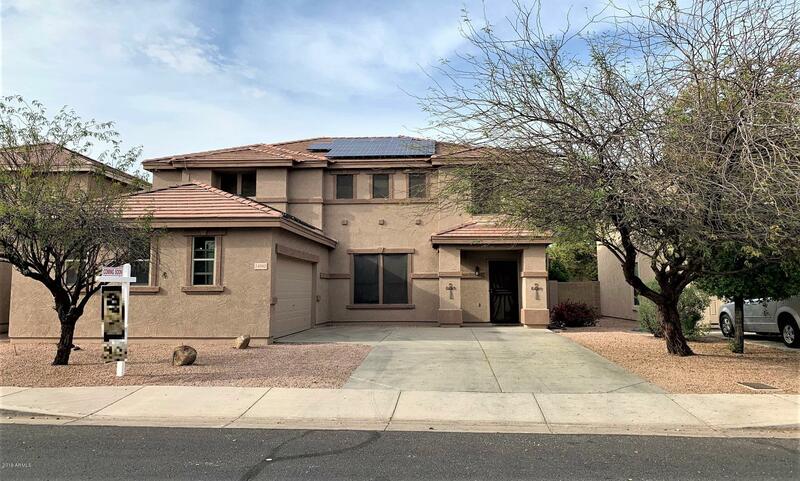 Upstairs you have a vast bonus room, 4 very large bedrooms, and more walk-in clos"
"BEAUTIFUL SPACIOUS 4 BED/2.5 BATH HOME FOR SALE IN SURPRISE - RANCHO GABRIELA!! - This home has been extremely well cared for by original owner & shows PRIDE OF OWNERSHIP THROUGHOUT!! Your new home features a FORMAL LIVING & DINING, FAMILY ROOM, LOFT, DEN, SITTING ROOM IN MASTER BEDROOM & A BONUS ROOM!!!! SO MANY ROOMS!! The BONUS ROOM was added by a licensed contractor (sq footage reflected in tax records) & can be used as 2ND Den, Game Room or converted to a 5th bedroom. Can't even notice i"
"BEAUTIFUL 3 BEDROOM/ 3 BATH HOME. WOOD BLINDS AND DARK CABINETRY. ALL STAINLESS STEEL APPLIANCES. NICE KITCHEN ISLAND WITH KITCHEN EAT-IN AREA. DESK AND EXTRA CABINETS UPSTAIRS. LAUNDRY IS CONVENIENTLY LOCATED UPSTAIRS. THE HOME BACKS TO A GREENBELT AREA AND PARK. VACANT AND EASY TO SHOW."